For the Epson most label printers, we have labels featuring a high-gloss facestock specially engineered for use in these on-demand inkjet printer. The adhesive is a versatile, general purpose emulsion acrylic with excellent adhesion to corrugated and various plastics. These labels are a perfect match for use in Epson's Ink Jet Label Printers. 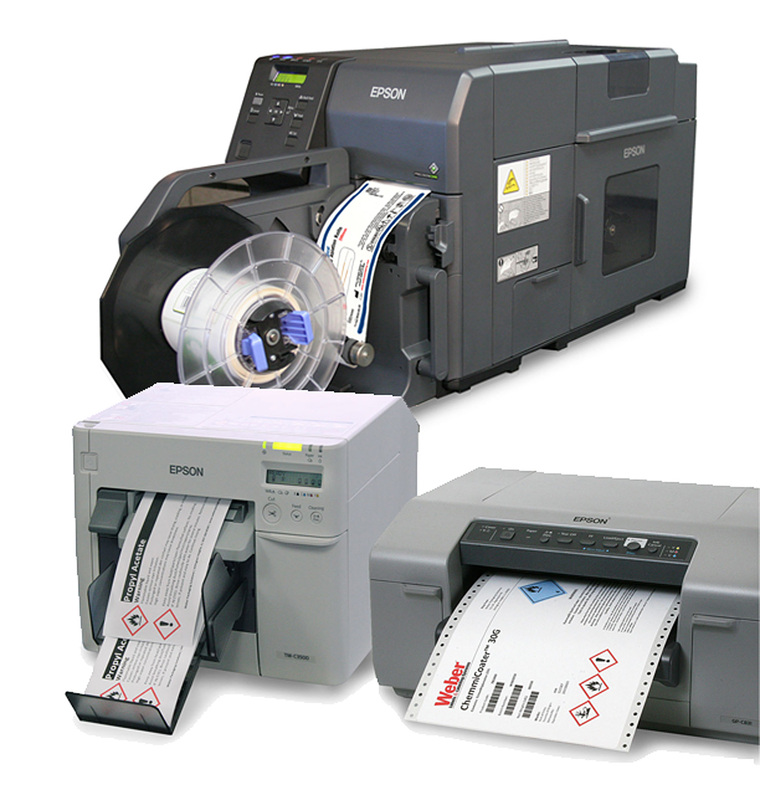 For the new Epson GP-C831 ColorWorks printer, Go-Label offers two different fanfolded label options, one with a film facesheet and one with a white paper facesheet. These labels are perfect for large hazardous drum labeling or general warehouse/shipping labels and are specifically made for use with the ColorWorks printer. These labels are fanfolded pinfeed labels that are perfect for creating GHS-complaint labels using the Epson GP-C831 ColorWorks inkjet label printer. Weber's Epson roll stock is a high-gloss facestock specially engineered for use in on-demand ink jet printers. The adhesive is a versatile, general purpose emulsion acrylic with excellent adhesion to corrugated and various plastics.